One is the Sugar syrup consistency…. had to take out one string condition…. Second is mixing the batter… mix the water slowly in little by little quantity.. mix with out clumbs…. This is the Secret behind the delicious boondhi…. 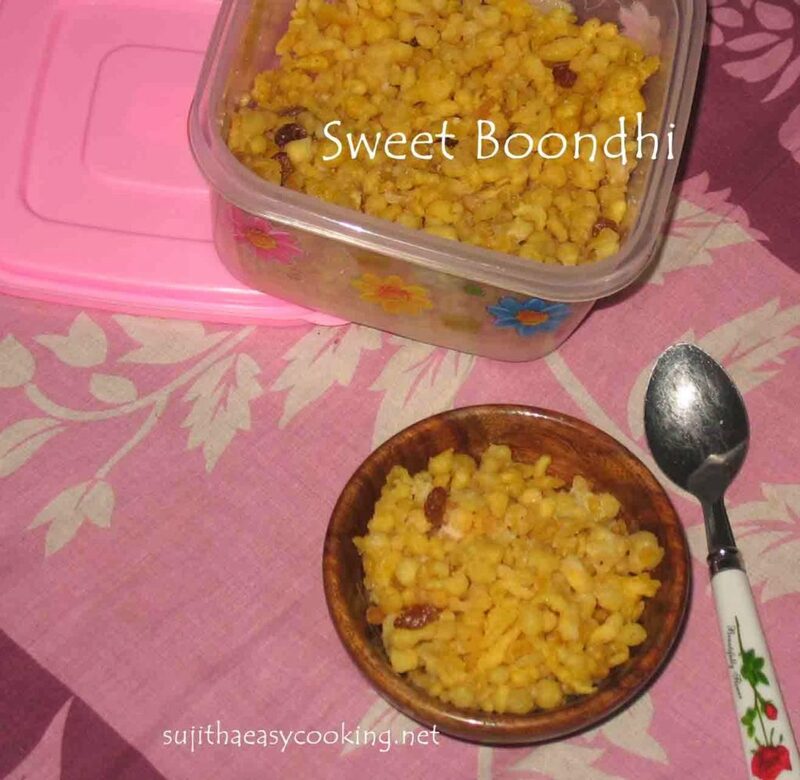 so i hope these line makes easy to think of boondhi… lets go with the recipe…..
* Mix them well and spread it over a cleaned plate to dry the bondhi’s..
perfectly made boondi…. i will to have with semiya payasam….